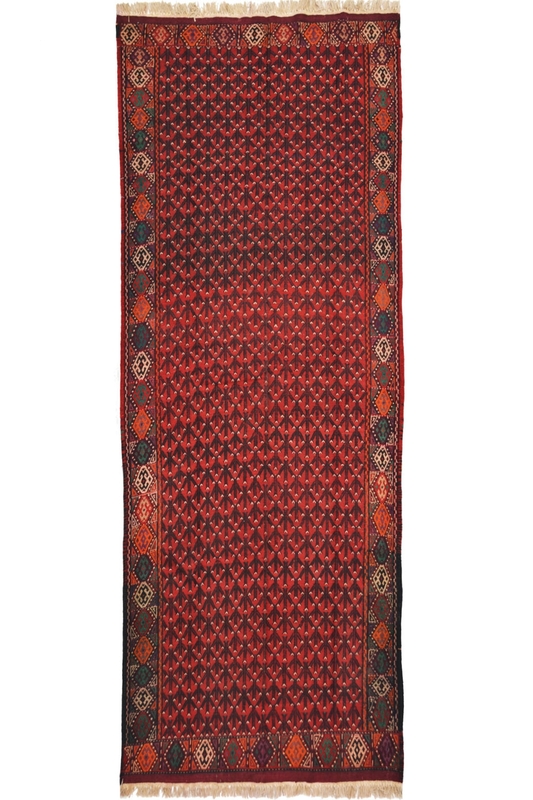 Decorate your entryway or your corridor by placing this kilim runner. This is ideal for a rustic décor with minimal furniture. It is a 100% hand washable carpet and rug. Decorate your home with this beautiful kilim handmade area rug which is woven in finest quality of wool and cotton material. The ground of this carpet contains tiny motifs with an intricately designed border. First, this carpet is woven on a handloom and after that design is made using needle and yarn. The main colors are yellow, brown and green. This is a highly durable kilim runner and 100% hand washable.